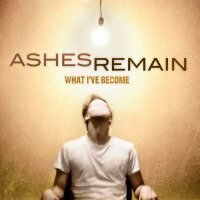 Baltimore Christian modern rock outfit Ashes Remain has undoubtedly produced one of the modern rock highlights of 2011. Full of hooks and great songs, ‘What I’ve Become’ hits all the right buttons whilst harnessing it to a hard edge that fans of Skillet and Kutless will fully appreciate. Held together by Rob Hawkins (Disciple, Fireflight) uncluttered production this album has the appeal to crossover into the secular market and at the same time be relevant in both the rock and the pop markets. Opener ‘Keep Me Breathing’ boasts a chugging guitar riff, killer hook and a sublime guitar solo, whilst the undoubted jewel in crown is the Skillet-like ‘On My Own’. Of the more ballad like material on offer, the Remedy Drive tinged ‘Without You’ complete with powerful finale, and the electro-acoustic pop of ‘Everything Good’ demonstrate a band that do “finesse” as well as “crunch”. Although if it’s low end clout you’re after then look no further than the ‘Take It Away’ or ‘Inside of Me’ which have enough going on to keep the hard rockers happy. Special mention should also go to the quite brilliant ‘Change My Life’, a piano driven Remedy Drive style song with a punchy guitar led chorus, but to be honest - save for the slightly dull ‘Come Alive’- it‘s all high quality punchy modern rock albeit a little generic. Whilst winning no awards for originality whatsoever ‘What We’ve Become’ nevertheless deserves high praise for its great songs, high quality musicianship and overall consistency making this an album one of the surprises of 2011.